It’s only recently that Puerto Vallarta has come to be seen as a steamy, romantic location for a vacation or getaway. Before the filming of Tennessee Williams’ Night of The Iguana (shot by John Huston) Puerto Vallarta was a sleepy fishing village. Now it’s known for the scenery that was the backdrop to Richard Burton and Elizabeth Taylor’s passionate affair. The whitewashed walls and terracotta roofs overlook picturesque cobblestone streets and flower-trimmed balconies. The heart of the city is undoubtedly the Plaza Principal and the colonial centre that can be found there. Here young and old alike come together in the heat of the day. If it’s a walk by the seaside that you really want then the historic Malecon is the place to be; this walkway curves along the water’s edge for several blocks and leads, eventually, to an amphitheatre that’s just chock with artists, restaurants and entertainers. No matter where you are in the city you’ll be able to navigate using the distinctive tower of the church of Our Lady of Guadalupe; this is a stunning building that deserves a visit even if you’re not religious. Why Choose the Villa Group in Puerto Vallarta? One of the reasons for choosing the Villa Group in Puerto Vallarta is quality, the second would be value for money. The benefits of the Villa Group brand in Puerto Vallarta do not stop there, you can be sure to experience great locations, warm and friendly staff, a selection of delicious restaurants and comfortable, clean and spacious suites. 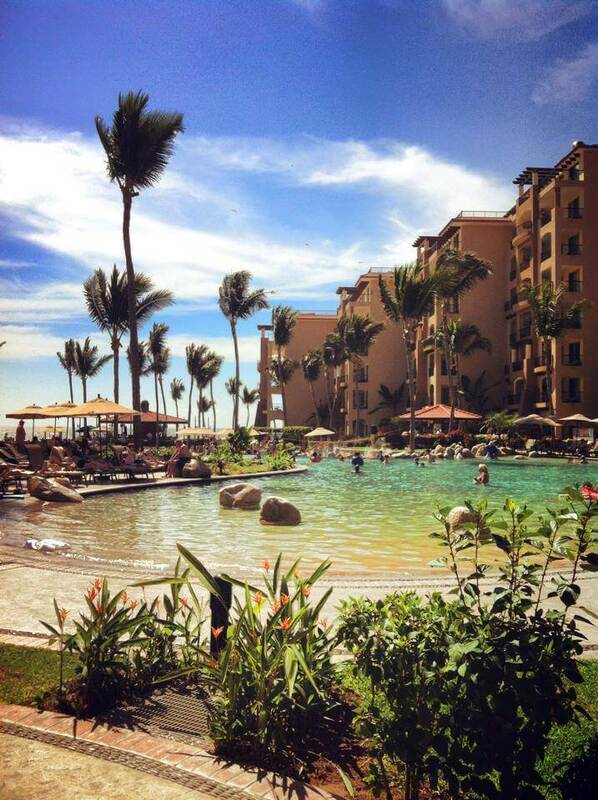 Take a look at the options for Villa Group resorts in and around Puerto Vallarta. The Villa del Palmar Flamingos resort in Nuevo Vallarta has been voted the top family centric resort in the area many times, and it really has been built with comfort in mind. Whether you want to stroll along the miles of golden sand, take part in some water sports or even just laze by the pool the Villa Group’s Flamingos resort is designed to make it easy to do so. What’s more it has some truly outstanding restaurants on site. Right next door to the Villa del Palmar Flamingos resort, you will find the exclusive Villa La Estancia hotel with residences that many be purchased. The Villa del Mar and Villa del Palmar are conveniently located, being 10 minutes in a taxi from the downtown area, and have the potential to be your home away from home! All suites are fully fitted with kitchenettes, living rooms and even little balconies or terraces and these resorts were the very first offered by the Villagroup for timeshare and vacation club services.